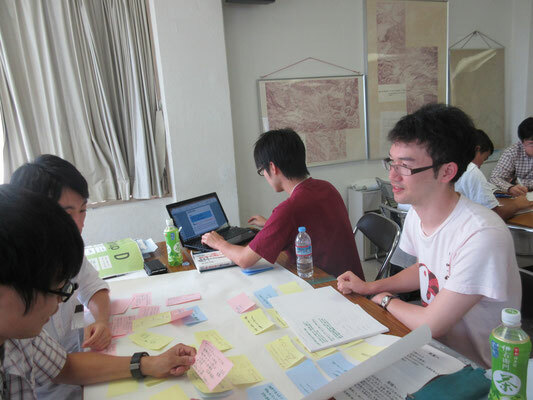 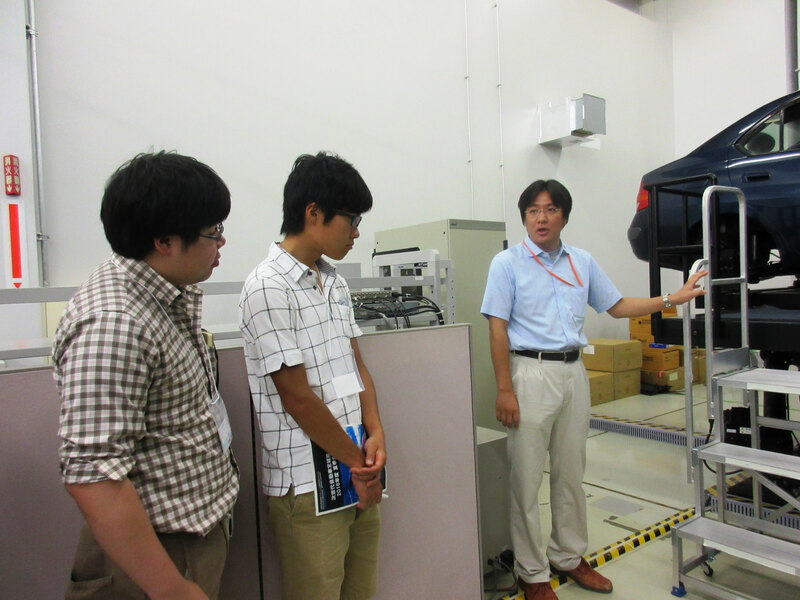 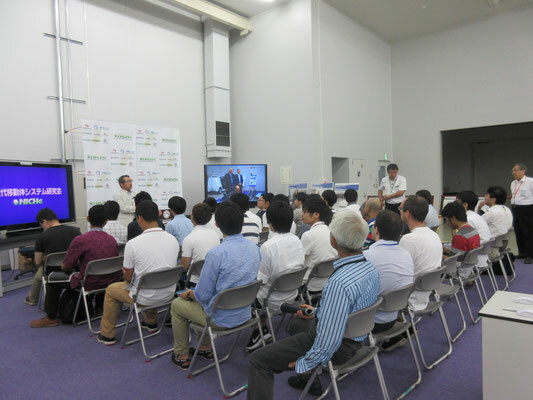 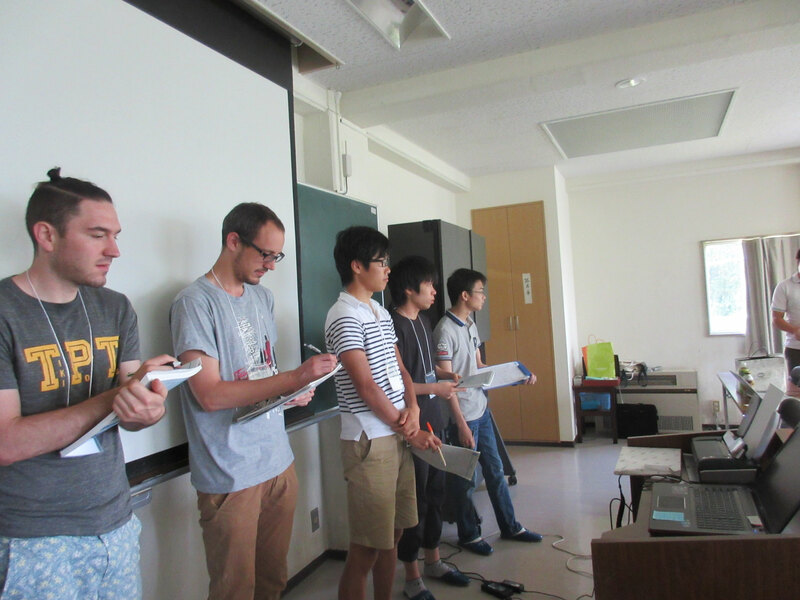 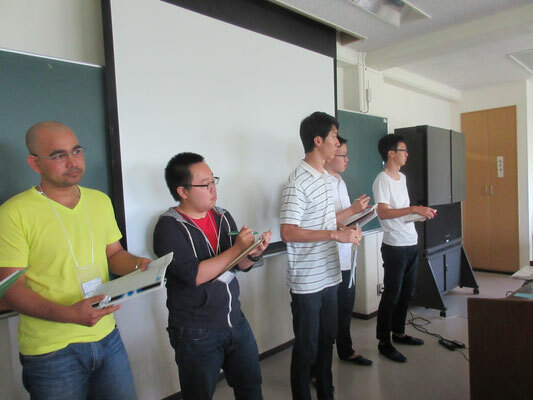 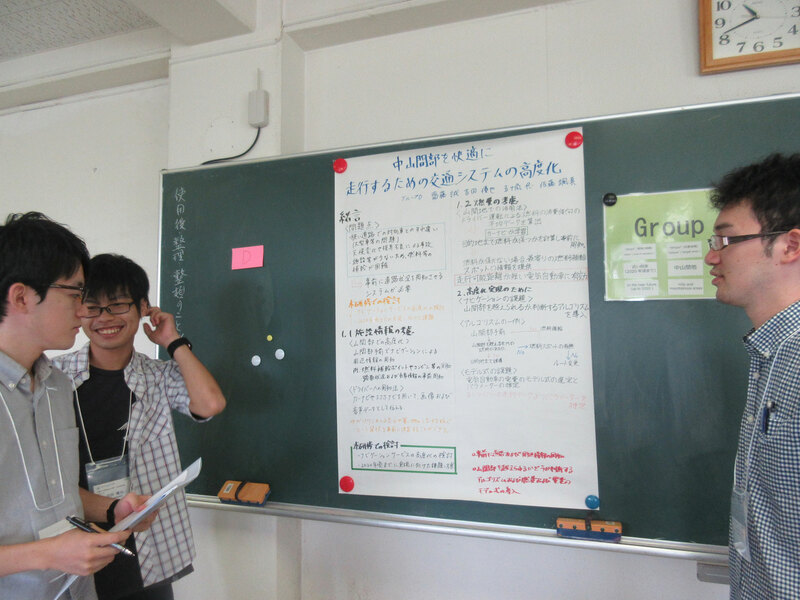 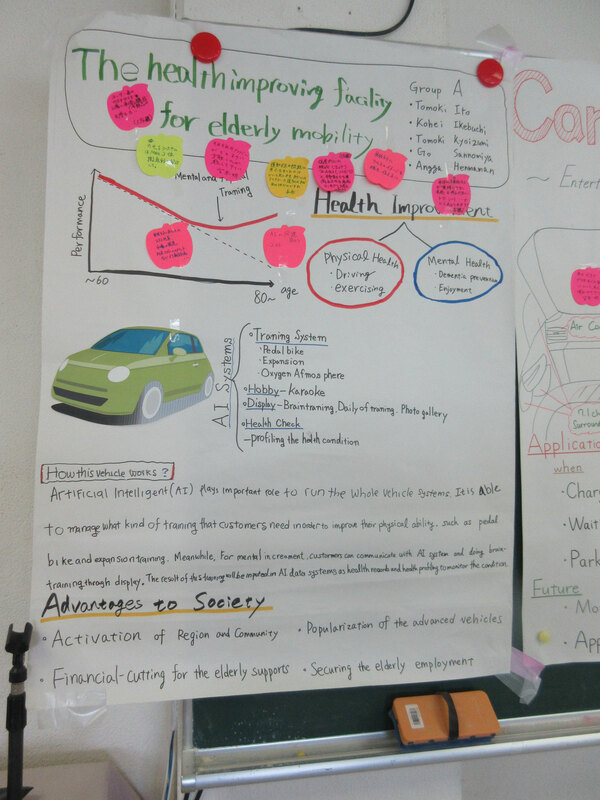 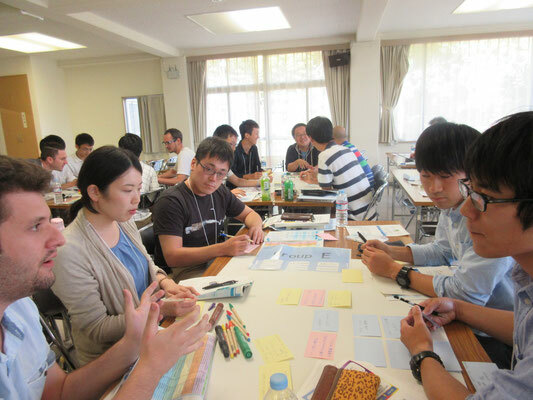 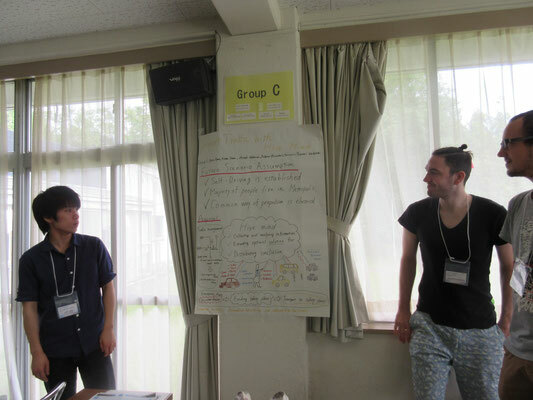 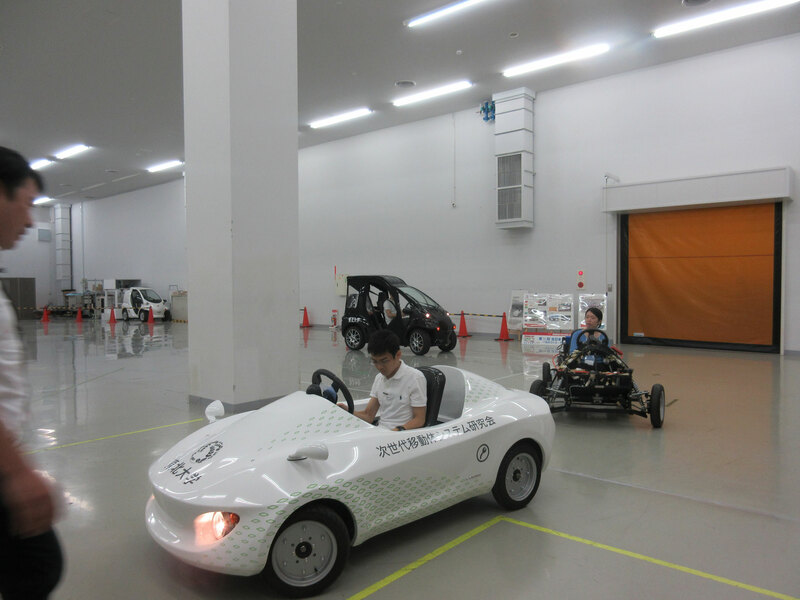 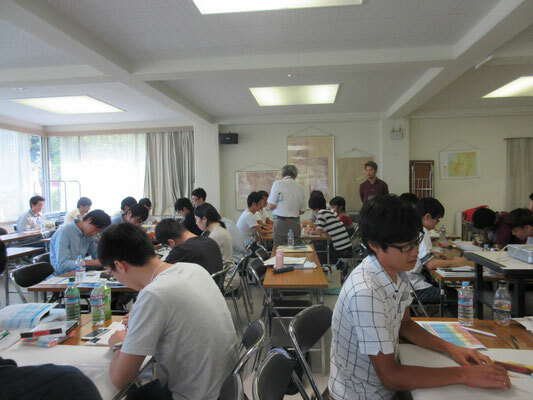 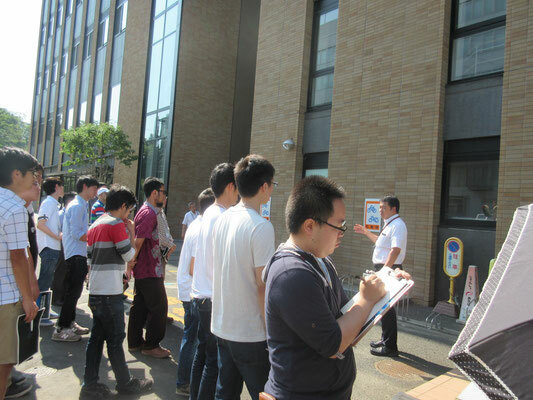 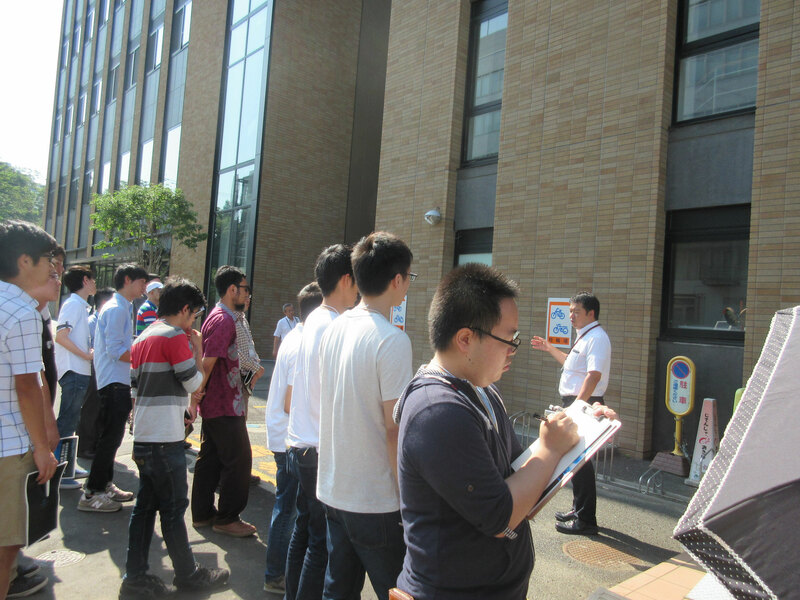 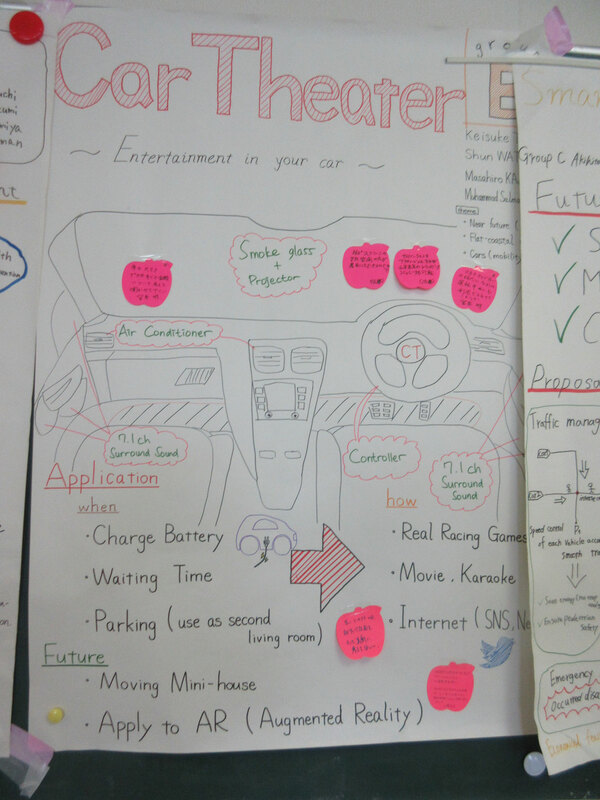 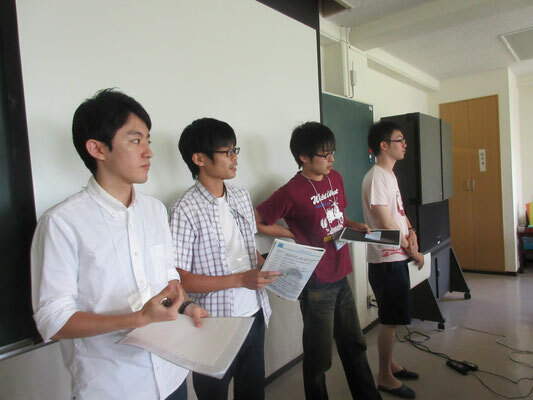 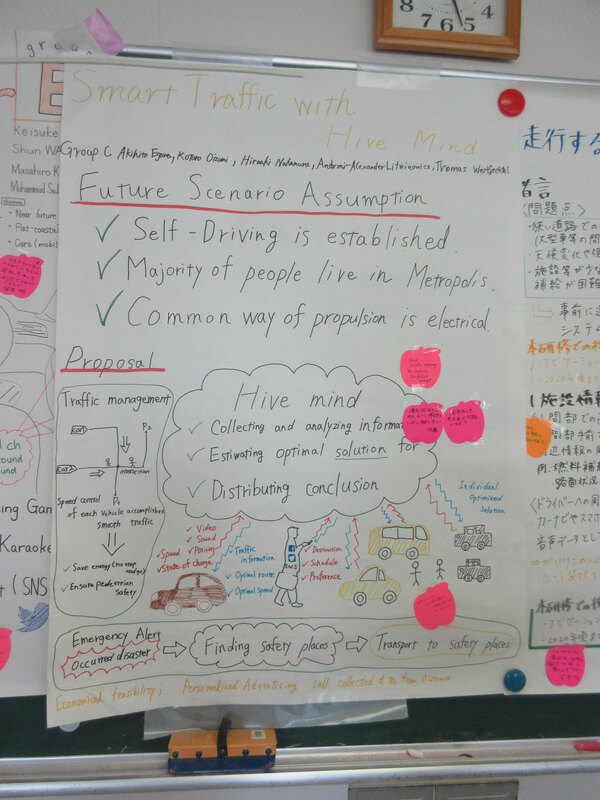 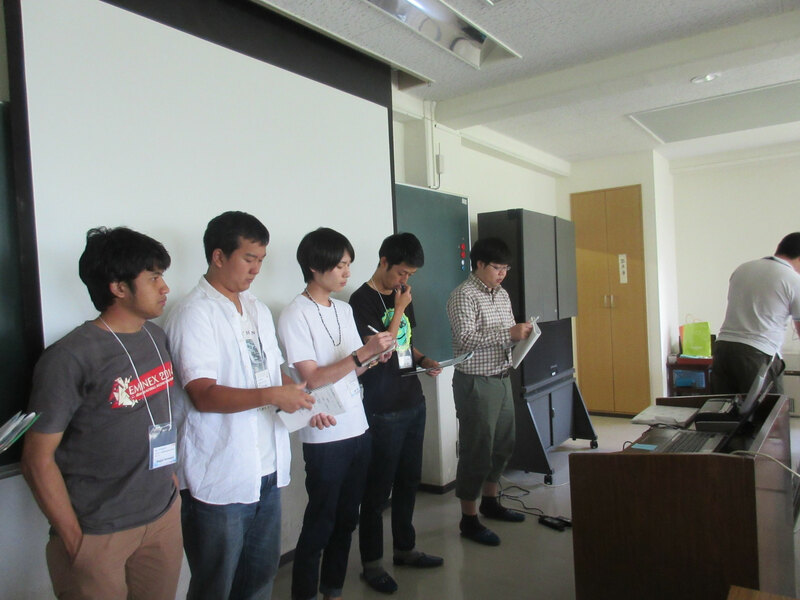 Following the last year is the next generation automobile Miyagi Prefecture area project, we held a summer student camp as a part of the human resource development program for students. 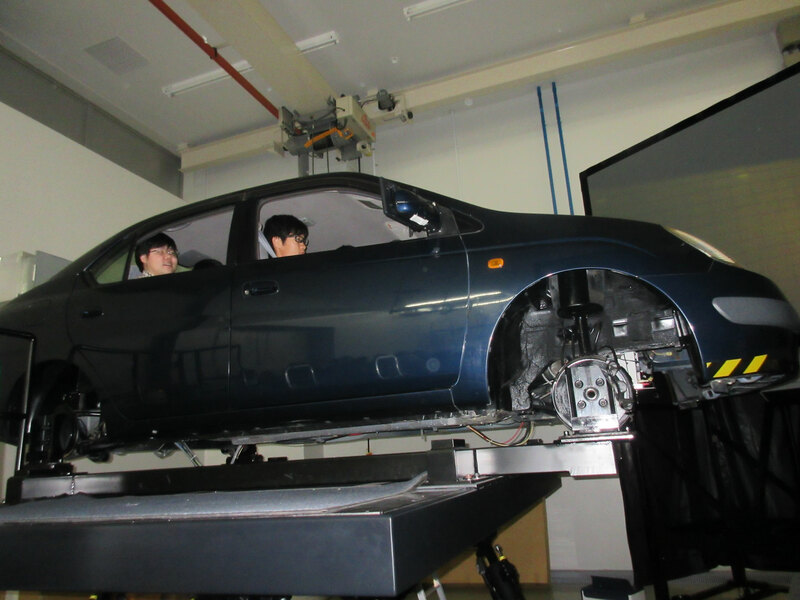 Together with mutual understanding about the latest situation of the next-generation automotive-related initiatives, the theme of matching of the campus seeds and regional needs, gave a group discussion and presentation of the workshop format. 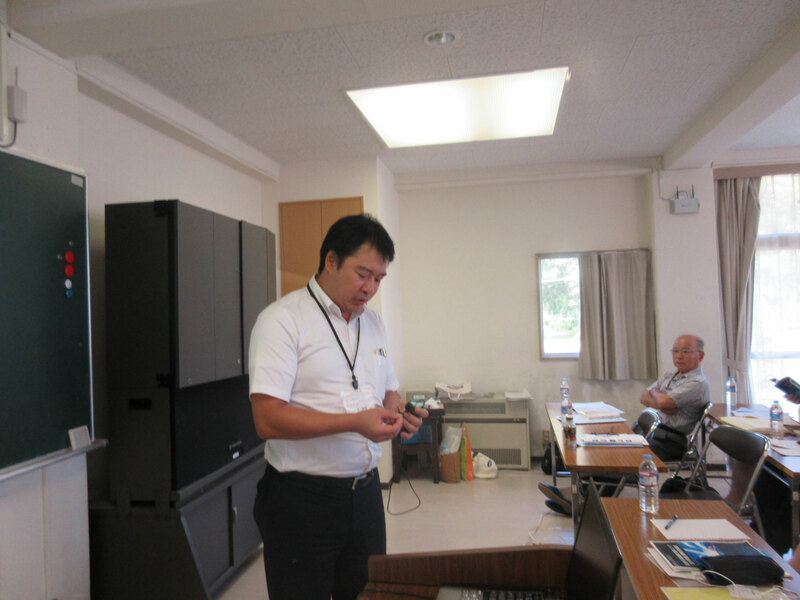 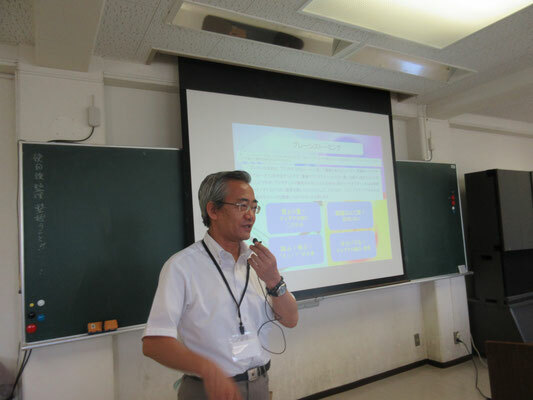 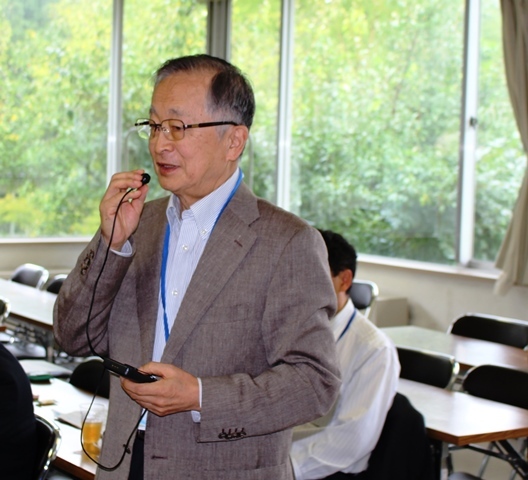 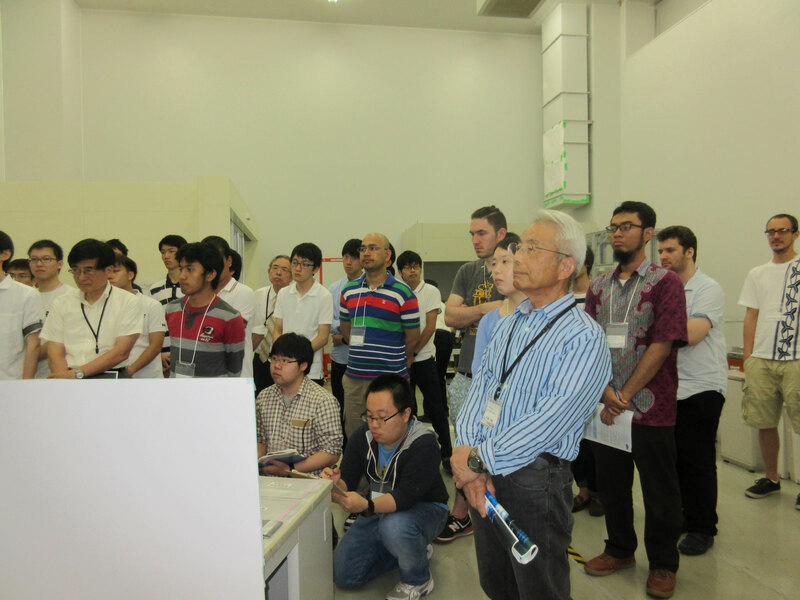 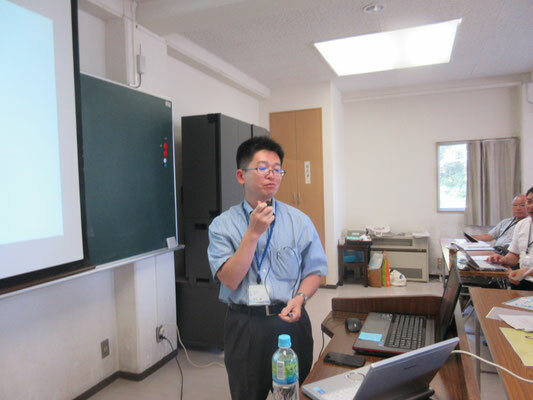 In addition to automobile-related teachers lecture, welcomed the Iwate University Faculty of Engineering, Professor Masaharu Okudera teacher, we received lectures and training the basics of brainstorming. 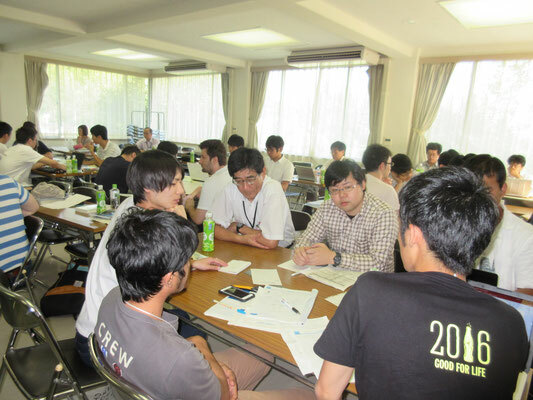 Is the opportunity of interaction with teachers of the local industry, government and academia for students, was the opportunity to obtain the knowledge and experience that will help in order to be active as a group leader from out in society. 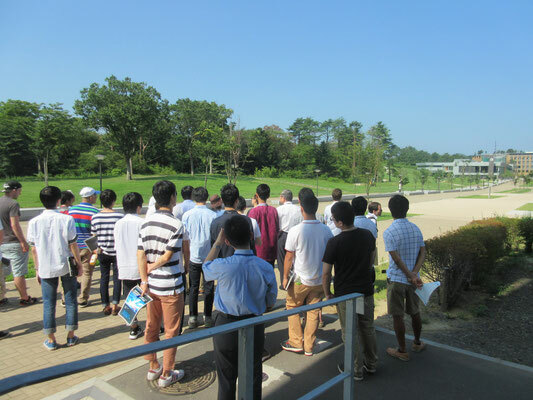 At first we looked　around　the　Tohoku　University　Aobayama　new　campus　on　foot,　and　then　we　went　to　the　Miyagi　reconstruction Park at Tgajo by bus and listened to the lecture about the latest automotive technology. 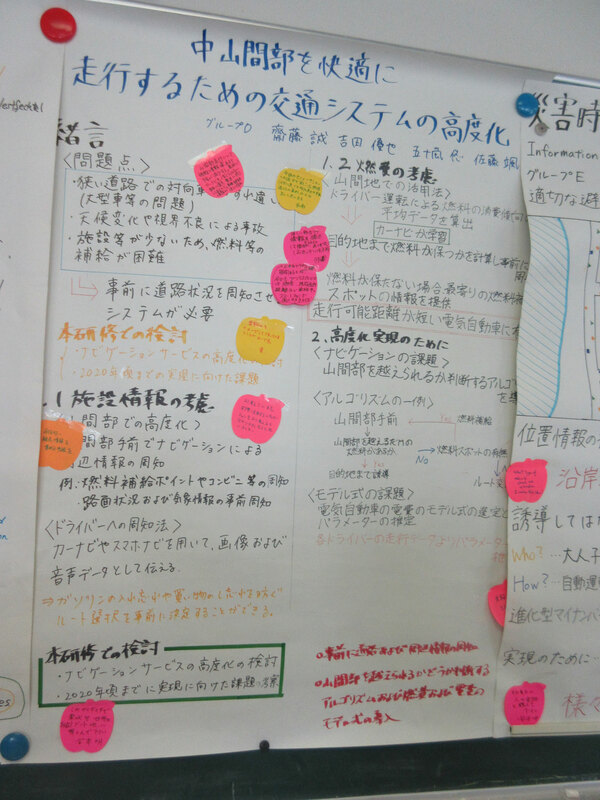 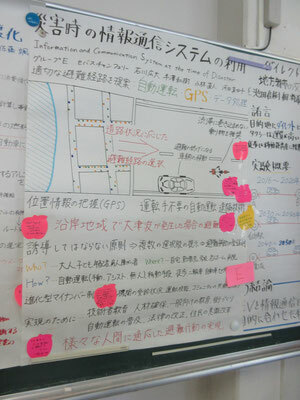 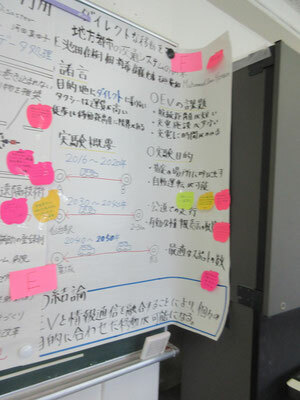 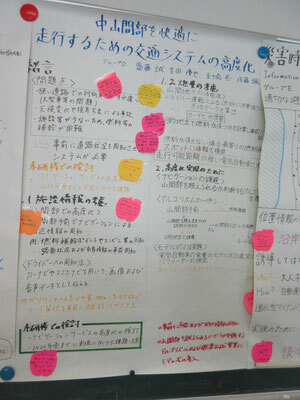 After the tour and lunch at the station of the road where have been deployed EV rapid charging spot, we went to the Kawatabi　Joint　Seminar　Center　and　we　listened　to　the　lecture　about　the　foundation　of　the　brainstorming and the traffic situation of each area, and then we began the group work. 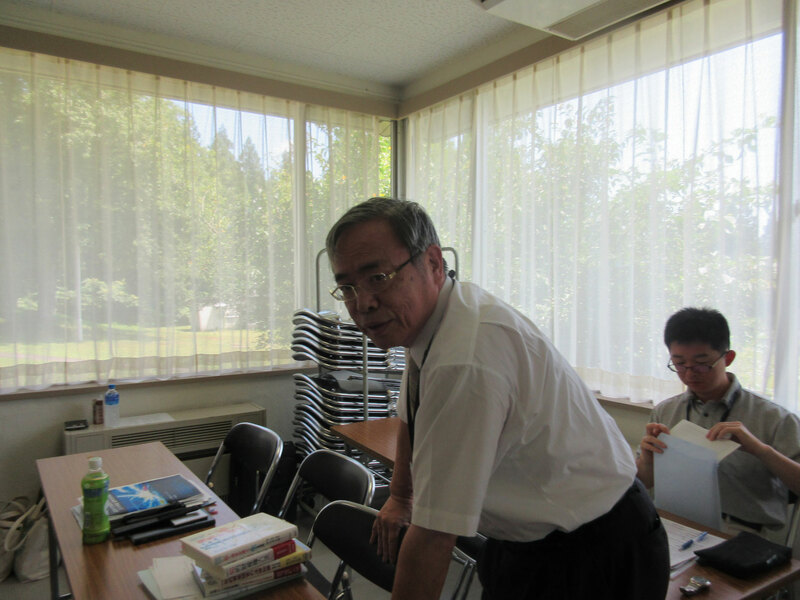 10:20-11:20 Tour and lecture at Tagajo Miyagi reconstruction park by Professor Fumihiko Hasegawa. 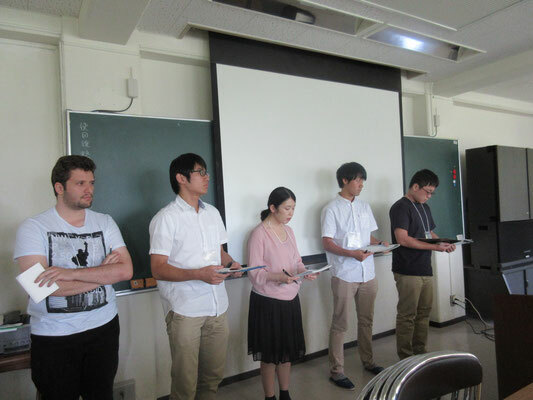 After the intermediate　announcement　of　students　and　the　question-and-answer　session,　students　listened　to　the　professional lecture from lectureres newly, students did the group work again in the afternoon in order to summarize the announcement for the final announcement on the next day. 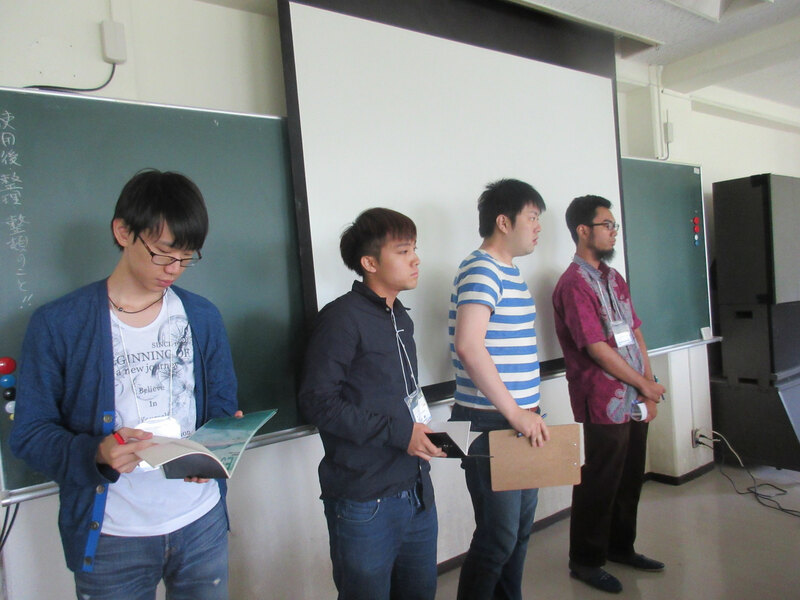 Students did the group announcement, poster display and description about the contents of announcement, also they got advice from lecturers. 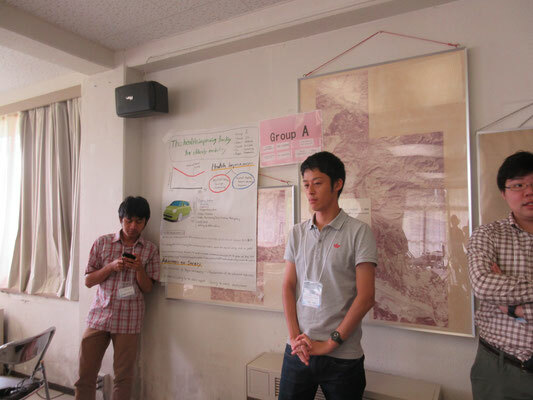 traveling the hilly and mountainous disaster. 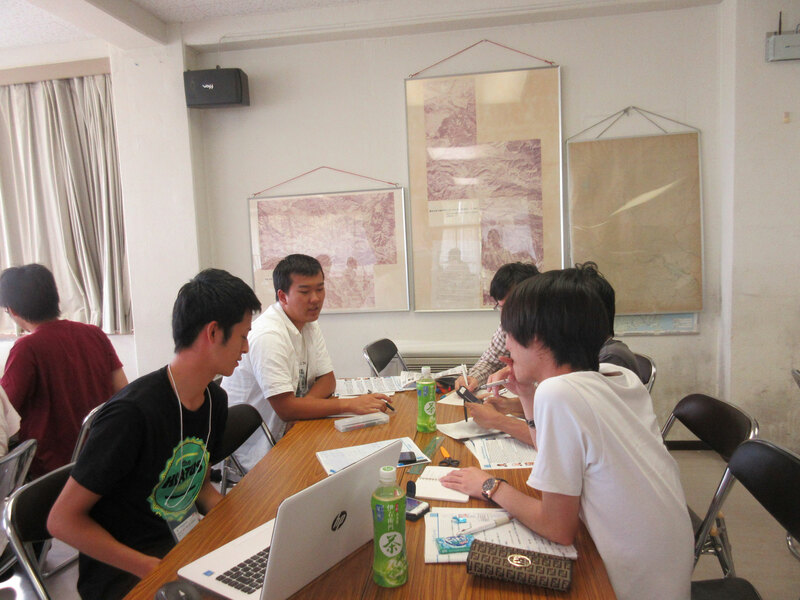 the direct movement.